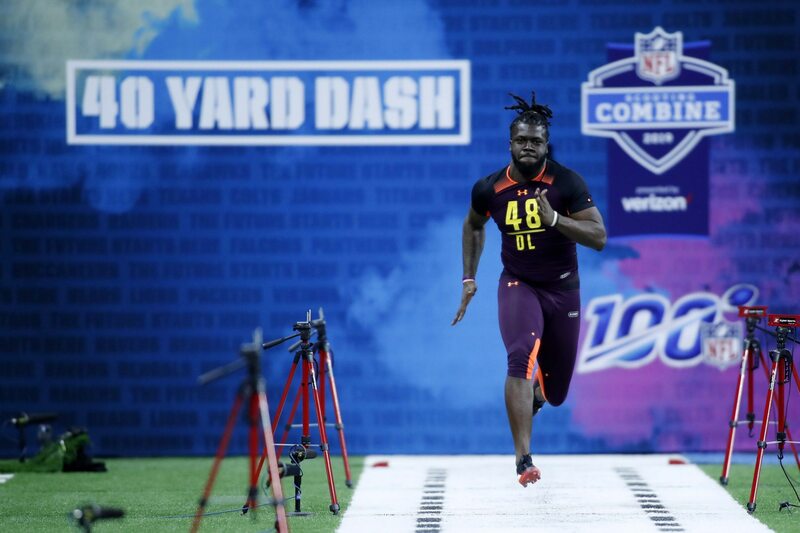 Before the NFL Scouting Combine, many analysts were high on the potential of Florida pass rusher Jachai Polite. After his performance on Sunday, that’s a thing of the past. Polite showed up to the combine with more weight than he probably should and looked a bit on the pudgy side. He also ran an really poor 40-yard dash on Sunday (4.84 seconds) before citing an injury and opting out of the remainder of the drills. #UF EDGE Jachai Polite with a 4.84u on his 1st 40 attempt. Furthermore, he came across poorly when questioned about a couple of interviews, specifically with the San Francisco 49ers and Green Bay Packers. Once projected to be a first-round pick, one wonders what Polite can do to stay in the Day 2 conversation going forward. Potentially a one-year wonder at Florida, Polite racked up 11 sacks last year after posting just four in his first two years at the university.